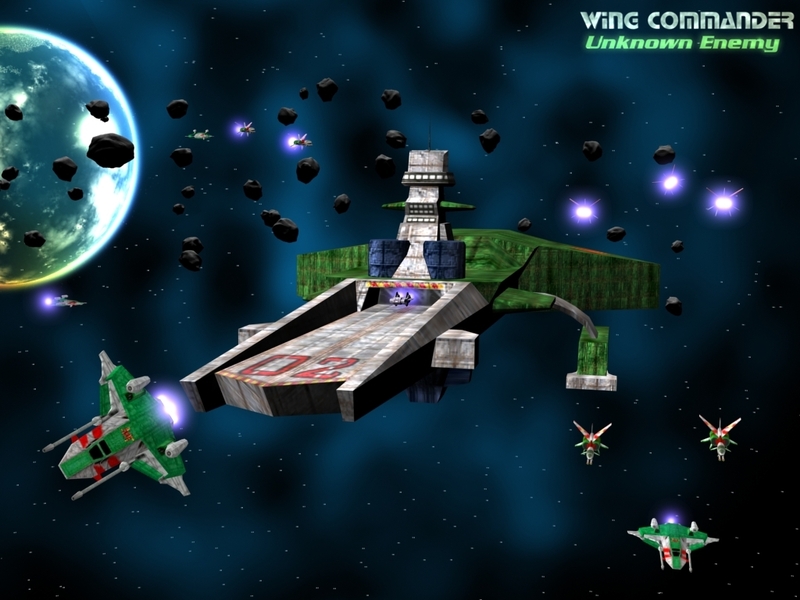 Towards the end of 1998, Wing Commander Secret Ops was a released freely over the Internet for a limited time, with missions being released in a weekly series of seven episodes. A stand-alone game, Secret Ops is the sequel to Wing Commander Prophecy featuring game-engine rendered cinematics and several new missions expanding the Prophecy story. 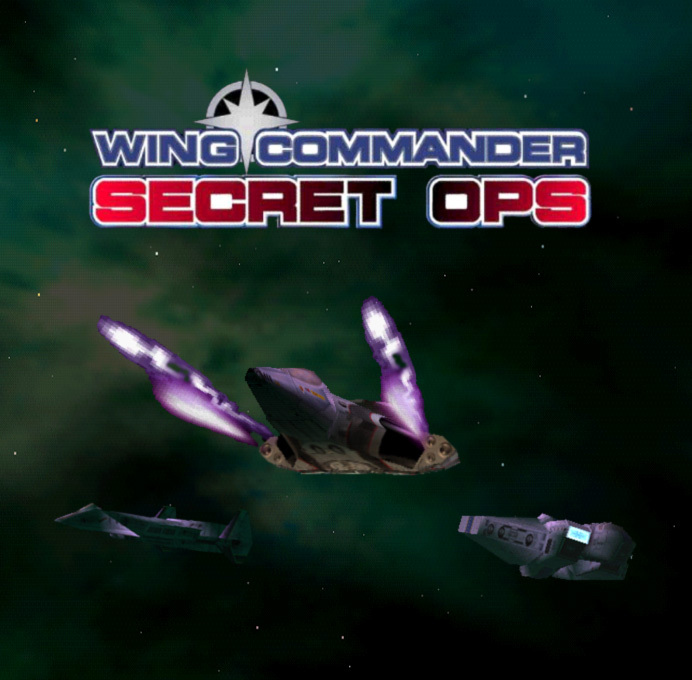 After the free release closed, Secret Ops was included in the Wing Commander Prophecy Gold release with the first episode remaining available as a demo. Finally, in August 2008, Secret Ops was made freely available for download once again. The full Wing Commander Prophecy Gold package is currently (since 7th November 2013) available from gog.com. Extensive background information for Wing Commander Secret Ops is available at the CIC. Extrated using Mario “HCl” Brito’s TRE Manager and converted with Thomas Bruckner’s Texture Converter. Origin source material includes higher-resolution images of the Vampires. The official documentation was distributed with the original on-line release of Secret Ops, while the Prophecy Gold release came with a manual which included information from both Wing Commander Prophecy and Secret Ops. When stuck on a mission, try the CIC’s very thorough game guide. The CIC’s original Secret Ops guide is also available on-line or in PDF format. In addition to this, Shades created an updated version including a broader range of related articles for the CIC’s seventh birthday. Wedge009’s interpretation of the dialogue from Wing Commander Secret Ops. Official fiction was used to replace story development previously made in FMV sequences, and is now hosted by the CIC after the closing of secretops.com. A ‘lost’ piece of official fiction detailing one passenger’s experience during the Nephilim attack on the SS Blue Horizon is also included. Alex “Pedro” Barnfield has released an OpenGL renderer for Prophecy and Secret Ops, following its introduction in Standoff Episode 4. The new renderer enables flexible screen resolution selection, eliminates texture alignment problems encountered with the DirectX renderer, adds transparency effects previously only available with the Glide renderer, and enhances the background star field, refreshing the graphical atmosphere of the games. With further improvements introduced for the final episode of Standoff, an updated version of the OpenGL renderer was released for the CIC’s thirteenth birthday. All the music from Wing Commander Secret Ops can be found in MUSIC.TRE and is the same as the first nine tracks of the MUSIC.TRE from Wing Commander Prophecy. The tracks can be extracted easily using Game Audio Player (download). All audio (music, speech, sound effects, etc) can be extracted using HCl’s TRE Manager and Audio Tool. The following speech files are from DATA.TRE. Introduction 1.22 MiB The TCS Midway returns home as Zero, Maestro and Casey are transferred to the newly-commissioned TCS Cerberus. Win-Win Ending 601 KiB An anti-climax, Admiral Rayak reports to Governor Cavazos of the Confederation’s victory in Proxima. A number of fan projects have taken advantage of the free availability of Secret Ops to create their own additions to the Wing Commander universe. Among the more successful ones are Unknown Enemy and Standoff. Unknown Enemy was released on 30th October 2002 after several years of hard work, revisions and missed deadlines. It portrayed the Nephilim invasion from the perspective of the Border Worlders in the Vega sector. Standoff released its first episode on Christmas Eve 2004 and begins in the relatively remote Gemini sector, during the time of the false armistice between the Confederation and the Kilrathi. The project has brought many of the ships and gameplay elements from Wing Commander II and Privateer into Secret Ops, building upon the innovations introduced in Unknown Enemy and introducing many more. The fifth and final instalment of Standoff was released for the CIC’s eleventh birthday. Primarch’s Wing Commander Secret Ops Missions (download) are useful for those just looking for some extra missions to play. Locke’s Secret Ops Simulator patch is required for these missions. zeckensack’s Glide wrapper is a utility which allows use of the Glide rendering mode on non-3dfx video cards. A very useful utility to see what the fogging effect achieves (the only graphical feature missing from the DirectX rendering mode). Finally, users of Mario “HCl” Brito’s Audio Tool may find the TRE Index compiled by Wedge to be of some use in sorting through speech clips.